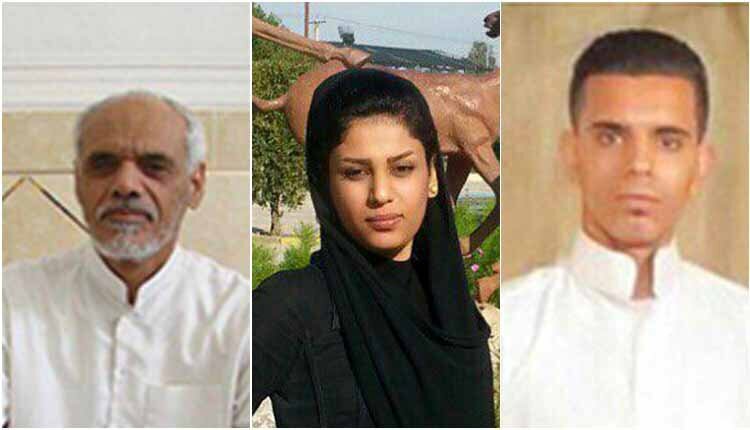 Hattab Zaheri Sari and his son and daughter, Amin an Ameneh, were among hundreds of people in Khuzestan province who were arrested during a sweeping crackdown against the Ahwazi Arab ethnic minority in November 2018. After four months of detention, a family from Iran’s Ahwazi Arab ethnic minority have been held in limbo. Hattab Zaheri Sari and his son were arrested on November 5, 2018, following the summons to Branch 12 of Ahvaz Revolutionary Court. Ameneh Zaheri Sari, 20 and a student of accounting, was arrested at home on November 6, 2018, by forces of the Revolutionary Guard Corps Intelligence. The arrests and detentions were arbitrary and illegal as security forces raided the residences of people after midnight or early in the morning without showing any arrest warrants. They beat up the whole family and took away their suspects. The wave of detentions followed a deadly armed attack on a military parade in the city of Ahvaz in September, during which at least 24 people, including spectators, were killed and more than 60 injured. Hattab Zaheri Sari is reportedly in dire health conditions. He suffers from GI problems, back problems and cataract. His situation is deteriorating but prison officials have refused to grant him permission to go to a city hospital and undergo surgery. Ameneh Zaheri Sari is presently incarcerated in the women’s ward of Sepidar Prison of Ahvaz, where women have to endure unsanitary and intolerable conditions. They are deprived of their most basic needs. Prison cells are full of lice, cockroaches and other insects. Inmates are given dirty and unusable blankets. Inmates who have to sleep on the floor have horrible conditions because the sewage system is not working and contaminates the floors.